INSIDE : Download this simple modern Cactus Print wall art to hang in any room of your home. 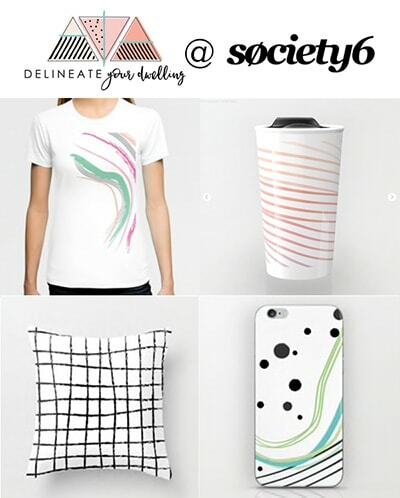 It is a hand-drawn graphic in black and white with pops of color. Last week, I shared three colorful Inspirational quote prints and this week I am combining my recent plant kick AND my recent print kick for an awesome duo of Cactus Free Prints That is right, I am combining them for today’s FREE PRINTABLE Cactus Print Wall Art. Did you see my two plant DIY’s last week, one plant and two plant? I think the upcoming Spring has me all kinds of crazed and clearly I just can not stop with the plants. I hope you don’t mind. I polled my Instagram audience on IG Stories two weeks ago and it was such fun. I really loved hearing back from you all as to which free Cactus art print designs you liked the best. I was also so glad for your input because I had planned on sharing just a white background print. However, you all spoke and in a big way. Some of you stated that you liked the small pops of peachy/coral included behind the cactus! I could not let my love for a plain white background completely go and so I decided I would share all three of the cactus printable design options with you today. Yay! 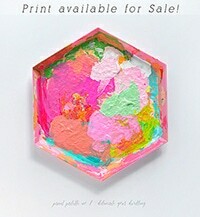 Also, you might notice this print look similar to my earlier Can’t Touch This print and you are riiiight! That’s the magic of photoshop… a great print can become another great print. 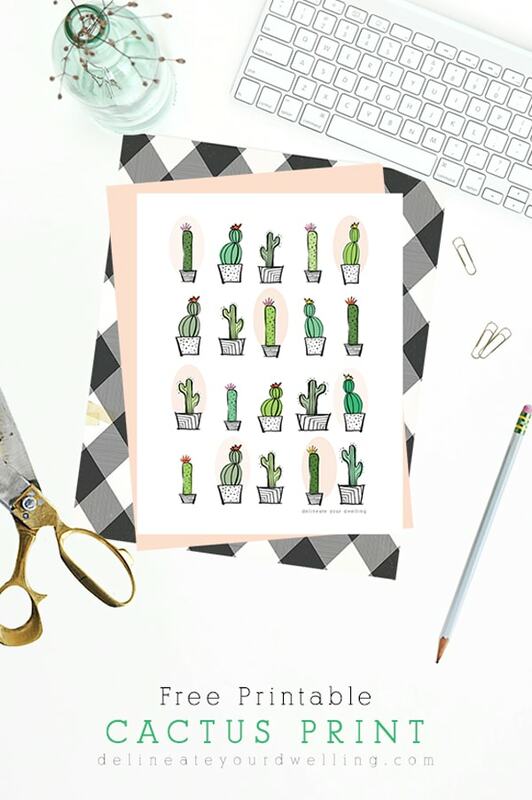 These cactus prints come in an 8.5 by 11″ size once downloaded. You can print them on your home printer or at your local print shop. Sign up for the DYD Insider newsletter to receive access to my ENTIRE DYD Printable Library along with this fun free Cactus Wall Art printable!!! This is TOTALLY going on my free printables pinterest board! Thanks for sharing! My pleasure! I’m glad you enjoy them. Aw, thanks so much Jen! !